Reaching Educationally Aspiring Dynamic Youth (READY) is the mission of the First Baptist Church. 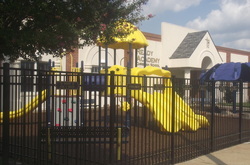 READY Academy Christian School is committed to providing a christian foundation and quality education for children. In partnership with families and communities, the READY Academy will emphasize specialization in science, technology, engineering, mathematics and the arts (STEMA) to meet the individual, academic needs of each child. The First Baptist Church READY Academy Christian Schools Board of Education, administration, faculty and staff believe God has a purpose for each child and that all children can learn. Taste 'N See Banquet Conference Center is located in the heart of downtown Norfolk - one block east of the Scope Convention Center and one block west of the MLK Memorial. Taste'N See can accommodate groups from 20 to 500, whatever your occasion, whatever the time of day; breakfast, brunch, lunch, dinner and receptions. You will find our Executive Chef and our Professional Staff ready to serve you. Contact our Sales and Marketing office, Monday through Friday for information on menus, pricing, reservations, tours and tasting. The Quinerly Home for female Veterans with children is located at 1044 Lindenwood Avenue Norfolk, Virginia 23504. This centrally located estate is near Norfolk State University, Old Dominion University, and Tidewater Community Norfolk Campus. 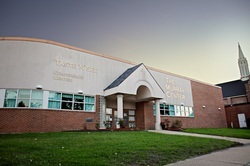 Mrs. Vanetta Morgan­ Quinerly, a member of First Baptist Church of Norfolk, Inc. (a 501-c-3 Non-Profit Organization) upon her death, transferred her house and property to the church via her estate with the provision that the house and additional lot would be used to provide for community needs. Once the "Quinerly Home for Female Veterans with Children is ready for occupancy, a service provider will provide supportive services for the residents in Housing Stability, Family Strength, Financial Management, Legal Assistance, Employment, Behavioral Health, Wellness, and Education. Shepherd's Village @ Park Avenue is an assisted living facility designed to meet needs of adult individuals who require assistance with their daily activities, but want to maintain as much independence as possible. Our Mission is to assist out residents with achieving and maintaining their highest level of independence in an environment that is tailored to meet the needs of eligible adults. 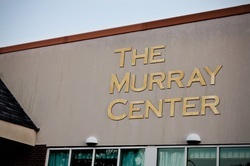 The Youth and Young Adult Center is exciting and full of life. Each week, young people from all walks of life gather for a dynamic youth service featuring passionate ministry and worship aimed at allowing individuals to encounter the Holy Spirit in a fresh and powerful way. Young people are also encouraged to participate through drama, music, and other ministry. In addition, many opportunities are given for outreach, missions, camps, worship gatherings, concerts, and many other extra-curricular activities.